Switzerland's Mediterranean Shipping Company (MSC) is one of the three largest shipping lines in the world and was to be a vital member of the proposed P3 Network. Switzerland's Mediterranean Shipping Company (MSC) is internationally recognized as being one of the largest container shipping lines in the world in terms of container vessel capacity. Headquartered in Geneva, as of May 2013, MSC reported to operate a fleet of 474 vessels and to have a capacity of 2,326,849 TEUs. In addition to this, MSC operates in all of the major ports in the world, most notably the Port of Antwerp in Belgium. The Swiss shipping giants were also a vital component of the three-pronged P3 Alliance which, before being refused approval by MOFCOM, was to be comprised of Denmark-based Maersk Line, French CMA CGM and of course, MSC. Established in 1970, MSC was initially founded as a private company by Gianluigi Aponte when he bought his first ship, the Patricia, followed by Rafaela, with which Aponte began a shipping line operating between the Mediterranean and Somalia, a former colony of Italy. 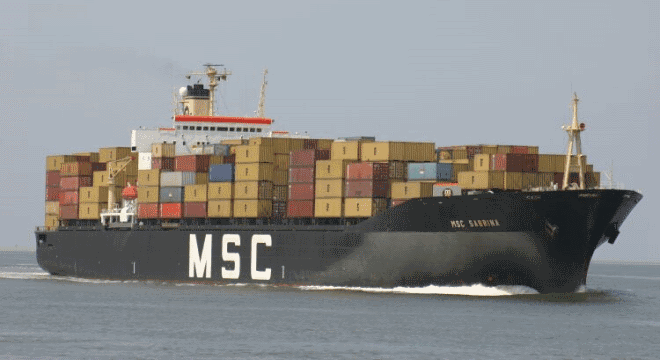 Subsequently, MSC continued to dramatically expand through the purchase of second-hand cargo ships and by 1977, the company operated services to northern Europe, Africa and the Indian Ocean. Furthermore, the success and expansion continued through the 1980s and by the end of the decade, MSC operated ships to North America and Australia. Currently, MSC operates in 270 ports on all six continents and deploys vessels with the capacity of up to 13,800 TEU, including one of the largest container ships, MSC Emanuala and her sister-ship, MSC Beatrice. The Swiss-based shipping giants remain to be independent and wholly owned by its president, Aponte and his family. The growth of the Mediterranean Shipping Company has been widely successful and organic, meaning the company has not grown through mergers and acquisitions. To add to this accomplishment, the company was named shipping line of the year in 2007 for the sixth time in eleven years by Lloyd's Loading List, which remains to be an achievement not matched by any other shipping line in the world. In recent months, MSC has also placed several orders for new vessels that will be able to carry up to 15,000 TEUs each, which are some of the largest container vessels in the world.